Oh man, did I love this build. A tad backstory first for me ever being the sentimentalist. I have been wanting to build a 2nd PC for streaming so I can run a dual PC setup, but I also wanted it to be a portable LAN gaming PC for when I couldn't lug my main rig around. So, I began looking into mATX configurations and found the right case to match what I was looking for. I have never built or owned a PC that had an AMD processor, so this was a big step and I was concerned about crossing into the team red area, and did a lot of research on what I would need for streaming/content creation at 1080p 60fps, and the occasional gaming at the same resolution. I ordered the parts, and they arrived at the most inopportune time possible, right in the middle of writing two 10 page papers for my 400 level undergraduate classes. I had 48 hours to write the papers and I procrastinated to the point of no return and had to finish them. Within the last 24 hours of the due date, my ISP decided to do maintenance so I had no access to the research that I was using. This gave me the perfect opportunity to build the PC at 4am, and I completed the build in a little less than 2 hours. And yes, I did finish the papers afterward. Building in this mATX format with this case was one of the most enjoyable builds I have ever done. Corsair did a great job designing a case that was user friendly and has loads of customization options. The HDD and SSD drive access compartments are placed perfectly, and I was even able to get away with using the same SATA power cable for both of the drives, even though they are in separate areas of the case. There was plenty of room to work in the case once I stripped all the side panels and was a refreshing ease to work with compared to my other full size ATX cases. For now (and due to mobo restrictions) I kept to the 3 stock corsair 120mm fans that came with the case. This case is divided into two portions, the front side with the big tempered glass panel, and the back side that houses the full size ATX PSU. The later side is where all of the wires could pass through the multiple grommets with ease, and I did not have to worry about pinching cables between the back panel as I have with other cases previously. There was plenty of room for cable management and there are even mounts for a fan on the panel as well. I did, however, not enjoy the mounting system for the I/O panel of the GPU. They use a "clamp" method of securing the GPU instead of traditional screws, and have I had a larger GPU, it would probably have some noticeable sag to it. The Ryzen 5 1600 was the perfect fit for this build. It was able to handle 1080p 60fps recording with simultaneous streaming easily, and I never saw the CPU temperature rise above 60C. I will include some actual benchmark tests and maybe introduce some OC testing in the near future. Also, the included spire cooler that came with it has kept the CPU nice and cool under load, and performed way above my expectations and removed the need for liquid cooling thus far for this build. I went for the EVGA GTX 1060 FTW 2 because I have previously owned a 1070 FTW 2 and loved all the temperature readings it provided along with the iCX cooling design. Personally, I think EVGA knocked these cards out of the park and although it cost a little more than your average 1060 6GB card, I chose it because I knew it would be a reliable product with a equally reliable customer service program as I have never had a problem with EVGA after purchasing 3 of their cards. 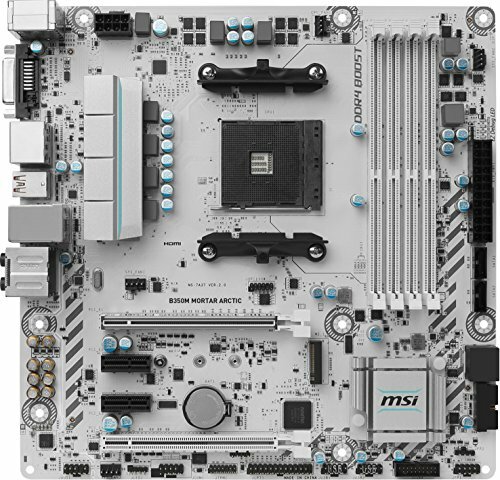 The MSI mobo has a nice look to it, and is very eye-appealing to someone that likes a white build design. The on board white LED's were a tad disappointing, and don't expect it to light up your case or even much of the mobo at all. Once I begin overclocking, I will update how it performed. Really do like the layout of MSI's BIOS, and had no problems navigating it upon the initial startup and OS install. The Crucial Ballistix RAM was a leftover from a previous build, and, well, it's RAM. The red looks nice with the white mobo in my opinion. Never have had a problem with Corsair's RMx PSU's either, and this one was rock solid and I have not had any issues yet. Highly recommend them. 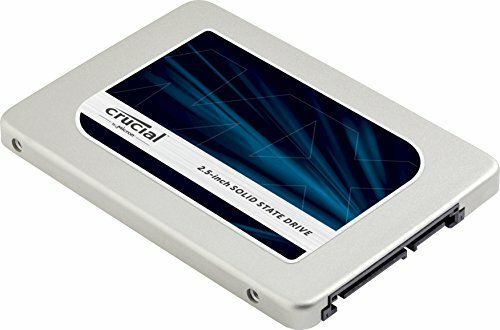 For two of my builds now I have used Crucial's MX300 SSD drives for my OS, and they provide a cost effective SSD with great speed. The FireCuda Hybrid drive was my first Hybrid drive, and I got it for around $60 on sale. Speeds are good, have not tried any serious file transfers yet but so far it has been a slightly noticeable upgrade from a 7200rpm HDD drive, I have noticed it gets quite warm at times though. So I will keep my eye on that. So that's about it. If you made it this far, thank you for reading my description and I hope it may have helped you or inspired you to build a PC like this of your own. If anyone has questions please comment and I will be more than happy to talk about the build! Future Upgrades: - CPU overclocking - RGB fans, possible 240mm AIO cooling system if needed. Or If I'm feeling it, a custom watercooling loop. - Corsair Commander PRO for more fan additions and RGB fan control. Currently using this for my streaming/content creation PC. Encodes 1080p 60fps video easily and keeps some low temps with the included stock cooler. Great for 1080p gaming as well. Good looking motherboard. MSI's BIOS is great. LED's were a tad underwhelming, however, it was a great mobo to work with. It's RAM. It does it's job well and looks cool doing it. Great SSD for affordability and speed. LOVE EVGA's FTW 2 series cards. I have owned 3 now and loved each one. The iCX cooling design was an awesome implementation by EVGA and I hope other aftermarket GPU manufactures take some pages out of their book. AWESOME case to work with. Looks sleek and keeps a low profile at the same time. I disliked the GPU clamp, however, and large GPU's may have some sag because of it. 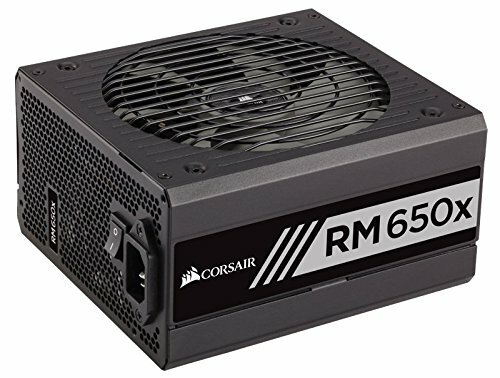 Reliable Corsair PSU's. Modular form makes it easy to build with, no problems so far. Love the MB, I was considering it earlier this year for a mATX build. The case surprised me as it is only white on the outside even when they sell it in black and white, I would have thought the inside would have been white too. It's a fantastic case but I would need to paint the inside white. I've only owned a handful of those Intel processors and have always been underwhelmed by their performance unless it was the highest end processor. It's probably the cheap MBs I buy though... But with AMD, it seems like they all work well for what they were made for and the price has always been reasonable for my taste. 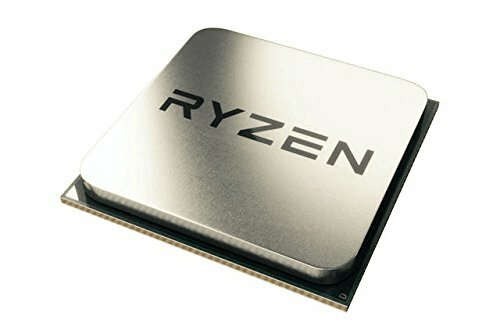 I just bought the Ryzen 7 1800X for $219.00 and it has been running fantastic with my 1060 6G, even at 4k these two are performing exceptionally well. Was originally going to go with the R7 but decided It was a good place to make a price cut because the PC was mainly going to be a streaming/video rendering PC and I wasn't going to do any high hz monitor gaming on it. I agree, I wish the inside was white and I might paint it that way or even red.. I love my i7 7700K proc in my gaming rig but I needed more cores for a cheaper price for this one and AMD was able to provide! At max load using FurMark, I get average 68 degrees C, never goes any higher than 75. I had the 1070 iCX for my first gaming build, loved that card!! Yeah they pretty much all stay around the same surprisingly. I have a 1080 Ti FTW 3 and it has the same temps, never rising above 77 degrees C.
Thanks! I was looking for something that had the functionality I needed with a cool appearance.